Disclaimer: I received these complimentary products in exchange for my honest opinion. No monetary compensation was provided. As with all my posts, our opinions are 100% honest and our own. This post may contain affiliate links. I started seeing this trend when my daughter was born. It was a fabric cover for strollers that protected the child from the different types of weather. It was awesome! The different colors, the overall protection, the Privacy. What else could you ask for? 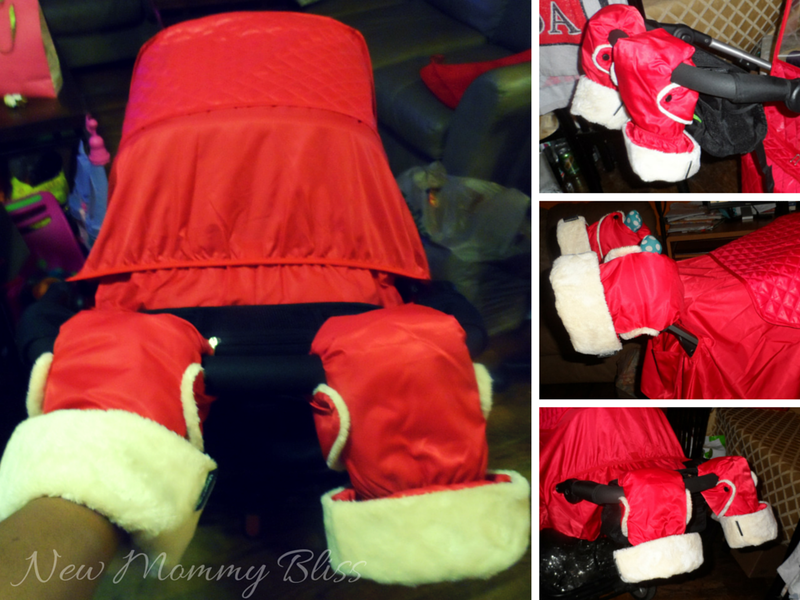 I was overjoyed when Manito® USA offered to send me their Manito Castle Alpha Stroller Weather Shield and matching Manito Cozy Hand Muff in the Red collection. First, Let's talk about the Manito Cozy Hand Muff. I've ALWAYS wanted a pair of hand muffs ever since I found out I was pregnant. At first I didn't feel it was a necessity so I overlooked putting it on our registry. Fast-forward to the Coldest Winter day since she was born, I was definitely wrong! It's warm, it's fashionable, and it's convenient! No longer do I have to struggle with taking off regular gloves just to comfort my baby or grab something from the diaper bag. wanna hear the best part? One size fits all! Hubby is tall and has big hands... he LOVES the hand muffs! He asks for them every time he heads out with Gabs. I highly recommend these affordable Hand Muffs. Fits on all single bar handle and double handle strollers. High quality water-repellent/windproof outer lining shields your hands from cold, rain, snow and wind. Super soft inner lining gives extra comfort and warmth to your hands. Wrist part can be unfolded to cover above the wrist for more protection against cold weather. Easy install with few snaps of buttons. Four available colors: Chocolate, Green, Purple, and Red. I'm a Stroller Fanatic. I currently own 5: A Mamas & Papas Sola, Quinny Yezz, Joovy Zoom 360, and 2 Joovy Groove Ultralights. The Biggest issue I would have is finding a Functional universal Stroller Cover in which the freezing elements wouldn't creep up from underneath and my tall child's feet wouldn't get soaked when it rains. 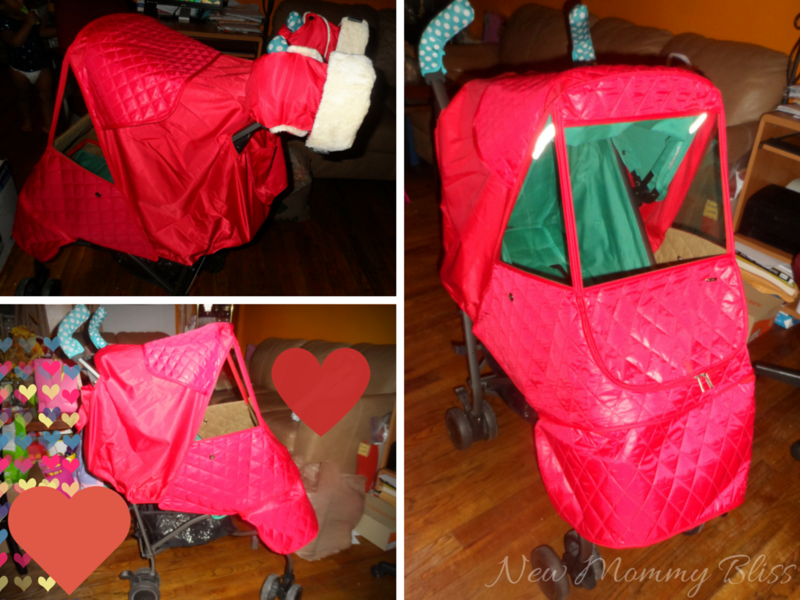 When I opened up the Castle Alpha stroller weather shield package I couldn't wait to head outside and try it out. The first Stroller I put the shield on was the Joovy Zoom 360. The Manito Castle Alpha has a unique triple-layer laser quilt construction that keeps Gabby well insulated inside the stroller while we cruise around in this freezing cold NYC winter. Rain Drops just roll off. On the Joovy Zoom 360, It goes over the handle and covers all the way down to the footrest. The Elastic hooks prevent the cover from being blown from harsh winds. **Compatibility: Manito Castle Alpha Stroller Weather Shield is fully adjustable to FIT ALL CANOPIED JOGGERS and 4 WHEELS STROLLER MODELS such as Maclaren, Zippy, Peg Perego, Bugaboo, Silver Cross, Baby Jogger, InStep, Bob, Graco, Chicco, Eddie Bauer, Britax and ANY other stroller with a canopy measuring between 15" - 19". 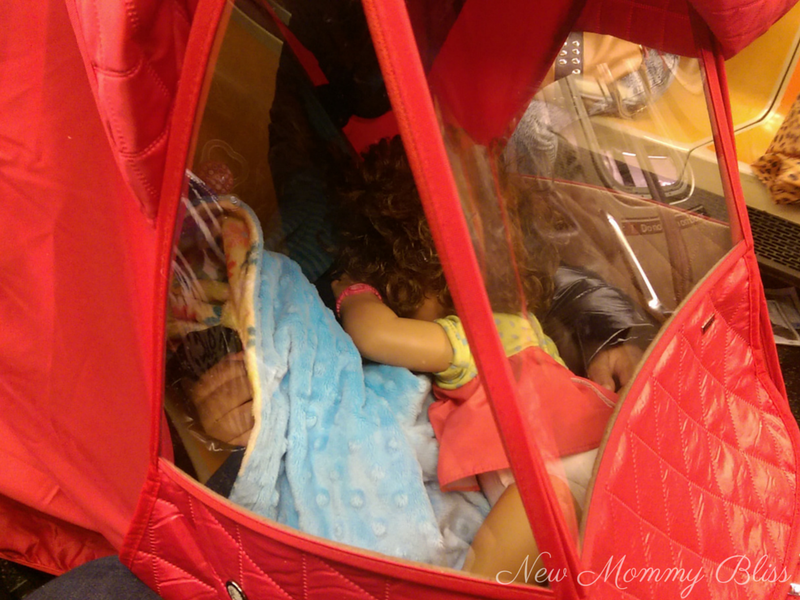 The next stroller I tested the shield on was our Mamas & Papas Sola (Review HERE ). Being that this stroller has a detachable reversible seat in which only the Backrest reclines, the shield had to be installed differently. Instead of putting the weather shield over the handle, I had to place it over the Backrest and seat only. I LOVE that it still fits great rear-facing as it does forward-facing. 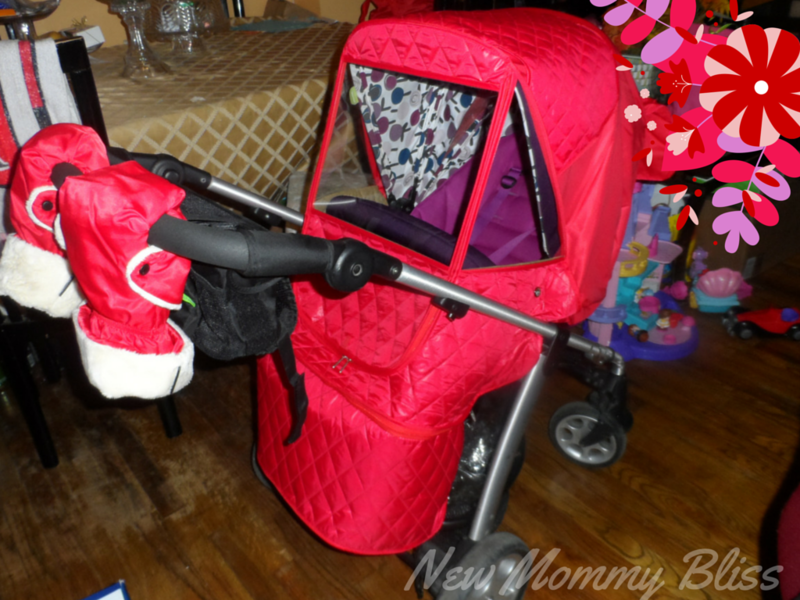 The last strollers I was able to fit the Castle Alpha Stroller Weather Shield on were the Joovy Groove Ultralight strollers. (The frames are pretty much identical so I only took photos of one) Being a bit narrow, I had to secure the elastic hooks differently. I hooked the highest elastic hooks to each other, and then I hook the lowest ones to the highest elastic (not the highest hook). We use this stroller most often in the city and my princess is never cold in her shield! 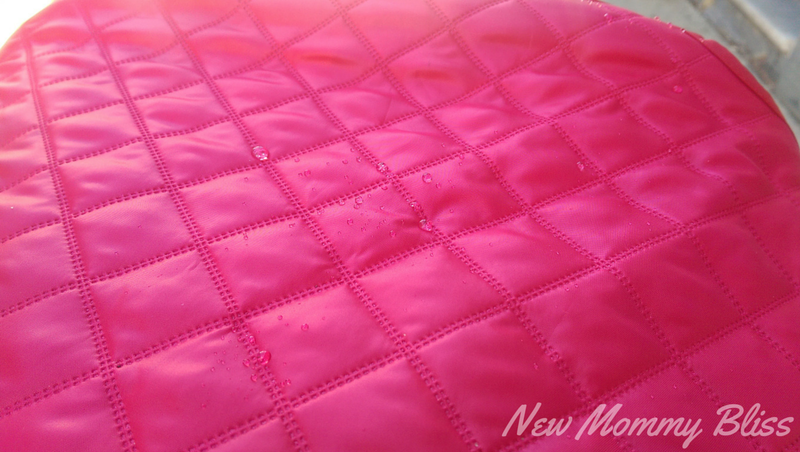 Detachable foot-rest cover is convenient when washing the foot-rest separately. Big size two-way zipper entry door for easy in-and-out of your child. Two adjacent convenience pockets in the rear. Includes a portable pouch for storage and carry. Two ventilation system on the sides. Can easily be cleaned with damp cloth or paper towel. Doesn't Gabby and her Baby doll look warm and Cozy? Before I Forget... 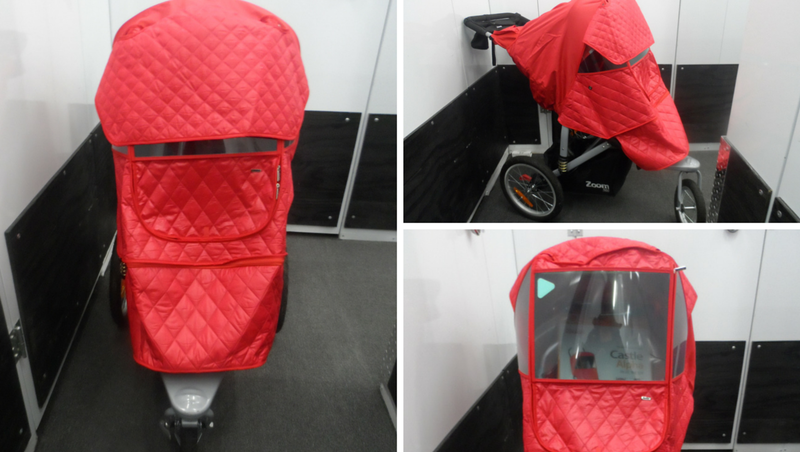 The Manito Castle Alpha Stroller Weather shield is AMAZING! Not only because of all the great features, but because I no longer have to worry about Lost Toys, Pacifiers, Blankets, or Ipads! Due to it's great design along the foot part, anything that she drops while sleeping lands right at her feet. It may not have been intended by the company, but it works for us parents. If you have a Stroller with a detachable Seat, but the entire seat reclines then the Castle Beta is for you. Beta models are for strollers with detachable seat like Mamas and Papas Sola but that do not have a reclining backrest like the Bugaboo Cameleon, Chico Urban and City Mini Select and City Mini Versa and so on... If you have a double tandem stroller, try to find the best fit for each of the seats among Alpha and Beta models. For example, Beta for the front seat and Alpha for the rear seat or Alpha or Beta for both seats depending on the stroller's seat configuration. Check out this Infographic here. 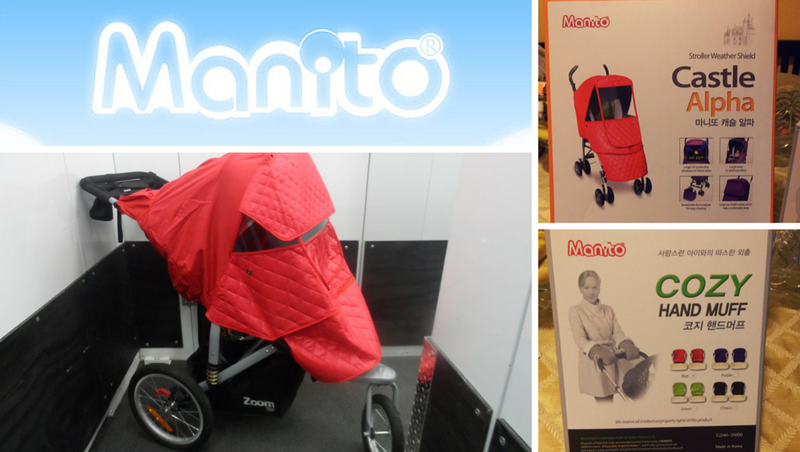 Buy Your Manito Stroller Weather Shield Here! Buy your Manito Cozy Hand Muff Here! *Note: The only Stroller my Shield did NOT fit on was the Quinny Yezz due to the canopy being too small and seat being Non-recline. It doesn't matter to me though, being as I only use that stroller for very short trips. How do you like the Manito Castle Alpha Weather Shield and Cozy Hand Muffs? Are you considering making the purchase? What color would you get? Oh I love that weather Shield! Would be perfect for winters here in Toronto! I also love the hand muffs how cute and cozy. I need those! How awesome is this?! When I had our daughter we lived in Arizona so this was not necessary. But now, living in Wyoming, it would come in handy. This is so cute and useful. I wish it was around when my boys were still in strollers. Wow, I wish I would have had something like this when my kids were little! What a great product to use when you want to get out of the house but the weather isn't great! This is like the cutest thing every, I could have certainly used this when my little's were in the stroller phase. I love that weather Shield! This would be perfect for winters here in Nebraska. I love the red color.